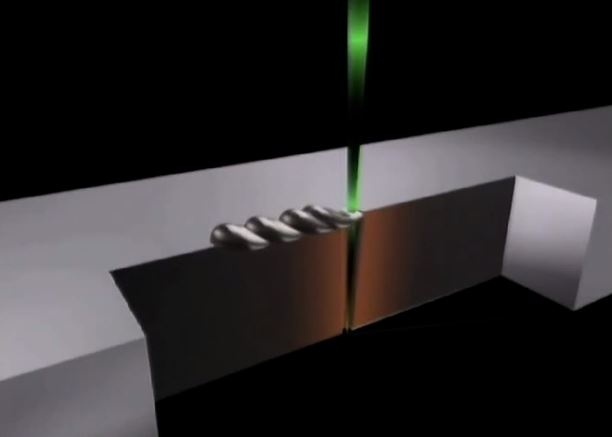 Put very simply, electron beam welding (EBW) is a process whereby two metals are fused or welded together using a beam of high-velocity electrons. This type of welding is suited to applications requiring high-precision, very good repeatability and high-strength. 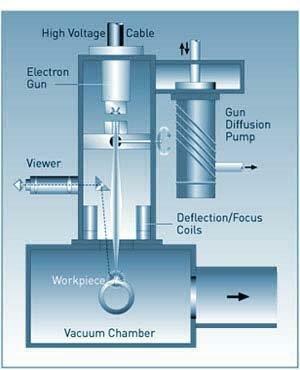 Electron beam welding (EBW) is a metal welding technique which takes place in a vacuum chamber using a beam of high energy electrons to heat the metal. This melts the material, creating a ‘keyhole’ which then solidifies as it fuses with another component. One of the distinguishing features of EB welding is that it requires a vacuum to be successful. Why is this? Electron Beam Welding (EBW) is one of several methods used to weld metal components together. It differs from other processes in several important ways, which will be explained in this article. EBW has unique abilities for welding dissimilar metals, complex or curved components and precision parts. 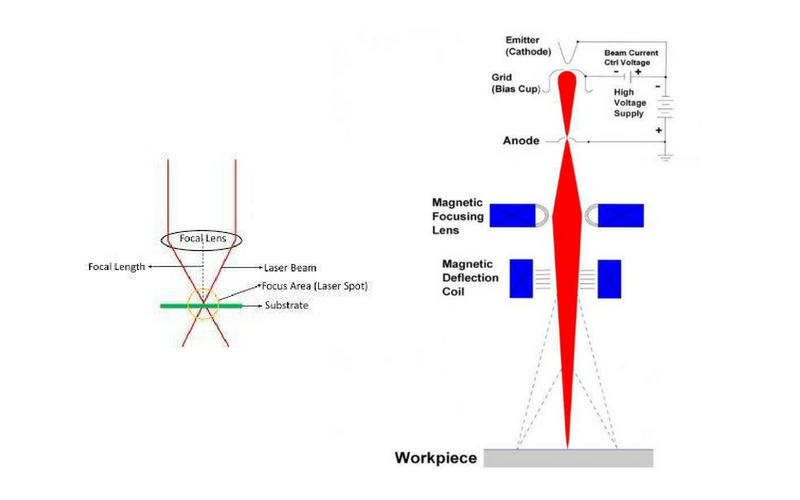 Electron Beam Welding (EBW) and Laser Beam Welding (LBW) and are both fusion welding techniques that use a high energy density beam to melt the joint of two components. Both methods have fast cycle times and produce high weld quality. They are similar and can be used side-by-side in some circumstances, but they are not identical. We have strengthened our arc welding capability as part of our suite of market leading welding solutions, with a new workshop and all new equipment. We are a full capability welding specialist committed to the highest weld quality – meeting the needs of complex projects in the aerospace, defence, nuclear, medical equipment, and with approvals from the most demanding OEMs. Digital Film for Radiography, investment in equipment and training by EBP has now resulted in approval for from Rolls-Royce plc for this process. After a lengthy period of assessment EBP are pleased to announce that they have received approval for Precision machining, EB & TIG welding and X-ray and NDT from RRMP. EBP has added SolidCAM and I.Machining to its three SolidWorks seats. This provides integrated 5 –axis machining from CAD input. We have extended our capability with the installation of a Durr Digital Imaging System in addition to current wet film systems. Here at Electron Beam Processes, we are perfectly equipped to offer useful information and helpful advice to make sure you know everything you need to when considering electron beam welding services.